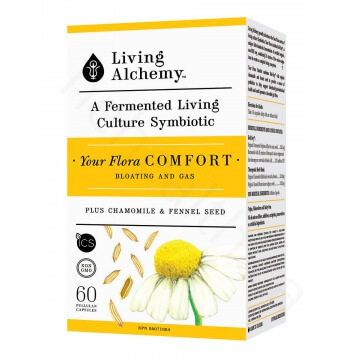 Your Flora COMFORT combines our 35 strain living culture Symbiotic with organic chamomile and fennel seed specifically for those requiring gut flora support with digestive gas and bloating. 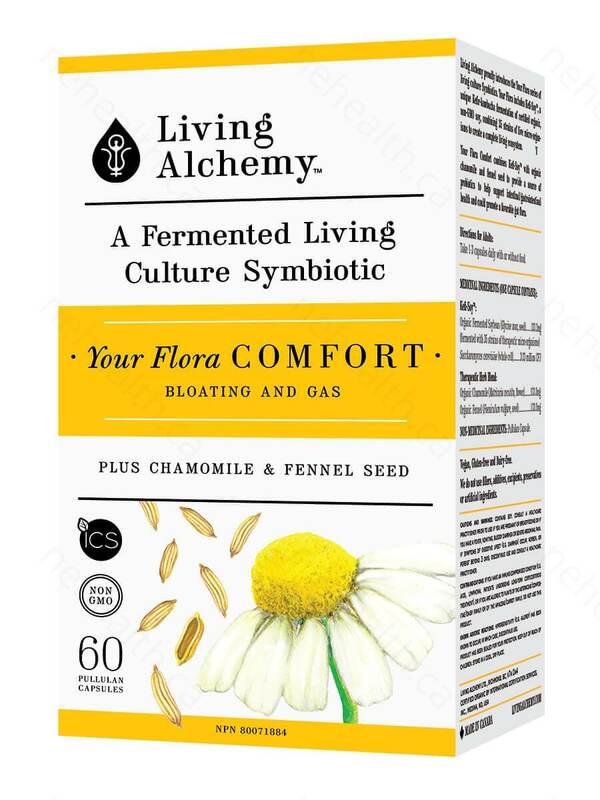 An imbalance of digestive microflora can cause gas and bloating. 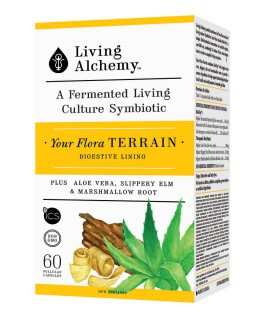 Kefi-SoyTM helps create a natural harmony of microflora in the digestive tract by providing an optimal amount of micro-organisms within their own environment. 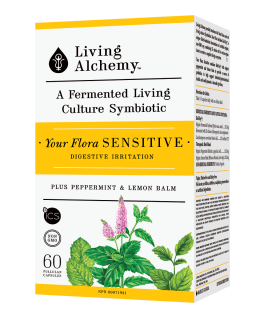 This is the most productive way to create this balance and support digestive comfort. 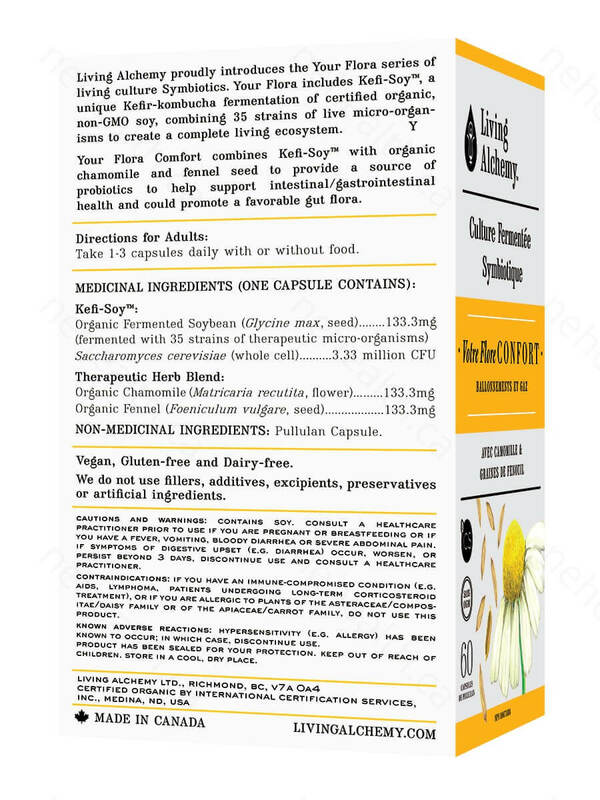 Chamomile helps relax and prevent the production of gas in the bowel. It is useful in reducing the discomfort of excess gas and indigestion. 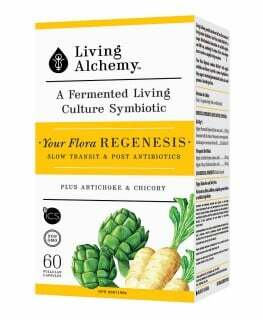 Fennel seed is very effective in removing gas from the body. 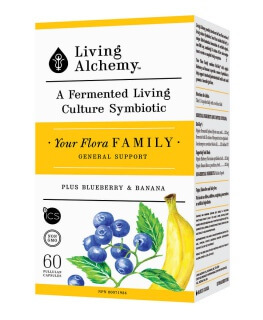 It is a good general digestive support and helps support a healthy gut flora.